Push notifications—those pesky alerts from the apps on your smartphone—tread a fine line between being useful and annoying. Facebook wants to tip the scales toward the former. Third-party app developers can now access A/B testing services for push notifications within Parse, the back-end developer platform Facebook acquired last year. The new tool will let app developers test different push messages among a specific segment of their users, like only people in Chicago with iPhones. The developer can then see which version of the message had more people opening the app, or which led to more interactions inside the app, before pushing it out to everyone. It’s meant to be a better way of seeing how push notifications might resonate with users, rather than comparing different messages on different days, which can confound the results. The tool, Parse Push Experiments, is available starting Monday to all developers who already pay to send push alerts through Parse. With the tool, the end goal is not necessarily fewer push notifications, but more relevant ones that don’t annoy people, and lead them back into the app. A travel booking app, for example, could test two versions of a local hotel offer only among users who have arrived at a certain airport. Or, if you have the RetailMeNot coupon code app and get a pizza coupon pushed to you as you walk past a pizza restaurant, you might have Facebook to thank. The feature is likely to help app makers as much as Facebook, by broadening Facebook’s umbrella of developer services. The more connected developers are to Facebook’s platform, the more opportunities Facebook has to weave them in to advertise. Facebook is also hard-pressed to keep developers away from a growing set of rival tool kits offered by Twitter or Amazon. “This should appeal to a wide range of app developers and marketers,” said James Yu, cofounder at Parse, speaking about the tool in an interview. And there are many of them who might use it—more than 400,000 apps now use Parse, according to the company. But the tool should appeal most to e-commerce or travel-booking app developers, who want better data on the effectiveness of their notifications for tracking promotions, Yu said. Parse’s customers in this area include RetailMeNot, travel app Hipmunk and global advertising agency BBDO. The tool so far has only been tested internally at Parse, Yu said. So it’s early to say whether it will catch on with developers. App developers can already choose from A/B testing services offered by mobile analytics companies like Swrve, Localytics or Urban Airship. While each company’s system may differ, it’s all about giving developers—marketers particularly—tools to make sense of users’ interactions with apps, and keep them coming back. Facebook is no different. 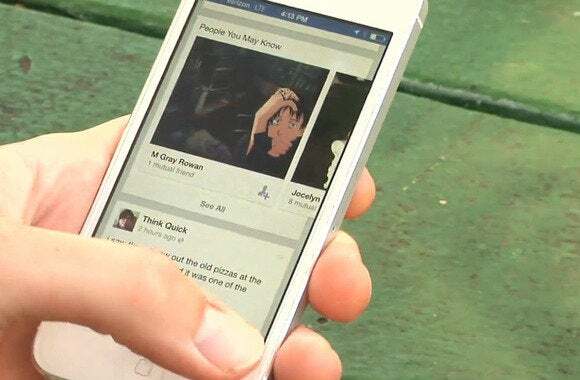 “Facebook doing this reinforces the need and value of having a thoughtful mobile engagement strategy for brands,” said Brent Hieggelke, chief marketing officer at Urban Airship.